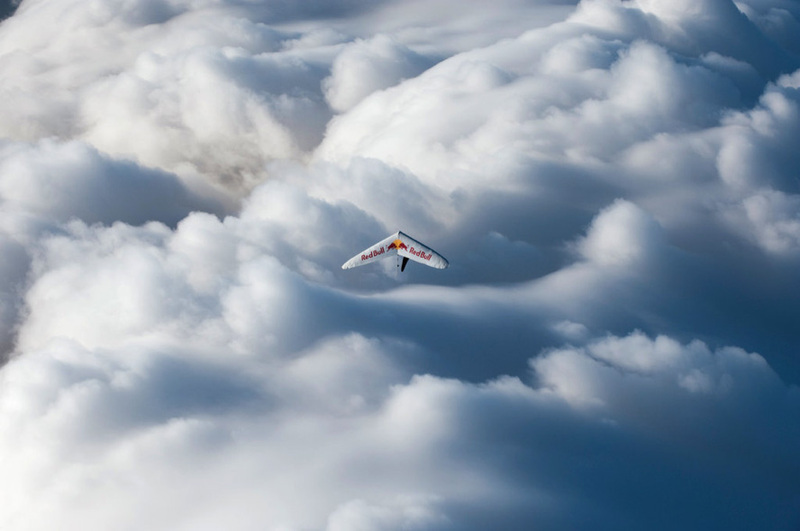 Have you ever wondered where that jet flying overhead was going? Well, if you have an internet connection, you can find out. A site called flightradar24 mashes live flight data with a Google map giving an amazing, live map of every flight in the sky. 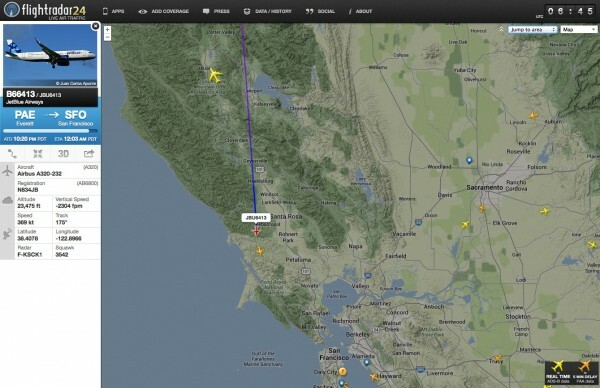 Click on any jet icon and see, among other things, the plane’s speed, location, altitude and destination. If you have the Google Earth plugin installed on your browser, you can even click the 3D button and get a live, flight-simulator view from the plane’s cockpit. Pretty neat. By the 1920s airplanes were staying aloft consistently enough to make airmail a possibility. But just because pilots could keep airplanes from falling out of the sky or crashing into barns didn’t mean they could get one across the country. And the U.S. Postal Service wanted to do just that: guide planes, day or night, along a 1900-mile route from New York to San Francisco, in service of the mail. And this in an age before radio beacons, or even reliable aeronautical charts. But how? 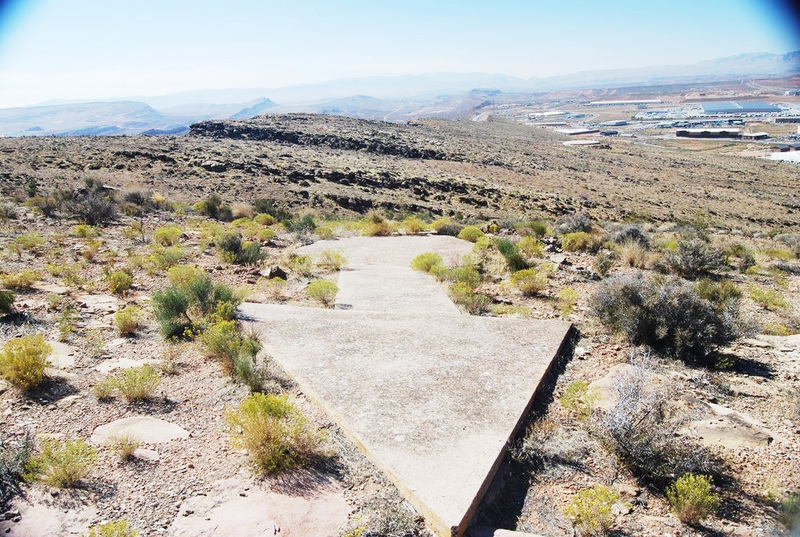 The answer turned out to be a simple one: giant concrete arrows embedded in the landscape. These airmail beacons, as they were called, consisted of the aforementioned arrows, 70-feet long, painted yellow, and lit from above by 50-foot towers. The towers, in turn, were topped with rotating beacons and a set of course lights which flashed an unique code identifying each beacon. Pilots followed these beacons coast to coast, one after the other, in ten-mile intervals. And it worked. From very first transcontinental airmail route in 1924 until the early 1930s, when early forms of radio navigation made them obsolete, many airway-beacon routes were developed. Today you can still find these remnants of aviation history dotting the landscape, and they make for interesting, historical, overlanding destinations. Here’s a post from Expedition Portal member PHTaco, who’s gone out and had a look. If you’re interested in finding old airway beacons in your area, have a look at these location lists for the Eastern and Western halves of the U.S. A click on the PID number links to a page with Lat. / Long. info. 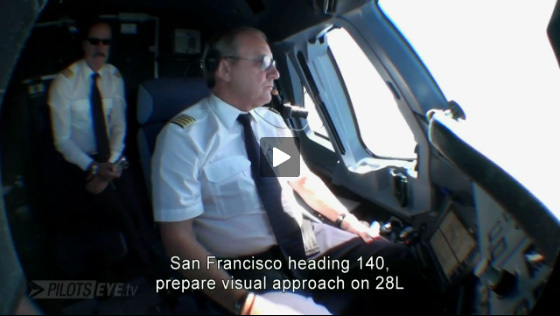 Here’s a really nice video showing showing a Lufthansa Airbus A380-800 on its approach, and landing, into San Francisco. Have a look in case you’re curious about what happens at the front end of the plane — by which I mean the flight deck, not first class. This is a trailer for a 140 minute film from PilotsEYE documenting the last flights of Lufthansa’s highest ranking captain, Jürgen Raps, before his retirement. In another trailer he marvels that the career choice he made 41 years ago was exactly the right one and adds, “Live your dreams, don’t dream your life.” Wise words. The documentary is in English and German with English subtitles.